Smart-Core's unique core composition produces a totally unexpected result - EXTREME DISTANCE . Smart-Core reacts differently depending on how hard you strike it. It goes long when you need it to and stops when necessary! With the unique blend of polybutadiene, titanium and urethane Smart-Core produces a totally unexpected and revolutionary result that few golf balls can match! Wilson makes stealth golf balls. Urethane cover (just like the top brands), three piece(ditto), soft core(ditto), great distance(ditto), excellent spin on the green(ditto), outstanding price - unique to Wilson. Want to hit a great ball, that goes as far as the high price balls and spins just as well - try the Wilson Smart Core. 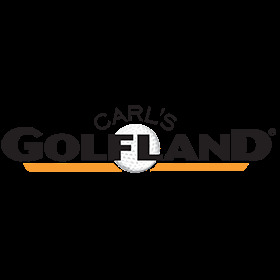 Wether your looking for top of the line or just getting started Carl's is the place to shop. Good service, prices, and complete inventories.